Do you dread the days before your period? Are you curious about the latest traditional and alternative treatments that could quell your symptoms? Packed with resources, advice, treatment information, and clinical research, The Everything Health Guide to PMS helps you understand the symptoms, causes, risk factors, and types of PMS. 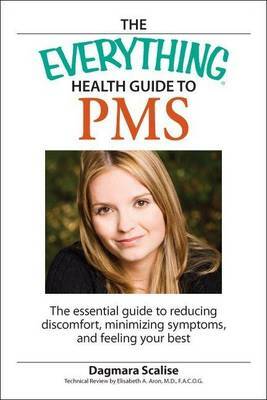 The Everything Health Guide to PMS also gives dietary suggestions, explains the difference between PMS and more serious conditions like Premenstrual Dysphoric Disorder (PMDD), and offers a PMDD self-test, as well as authoritative advice on: What questions to ask your doctor; Treatments such as aromatherapy, acupuncture, and massage; Health issues stemming from PMS such as fibroids; Men and PMS; Perimenopause and menopause. The Everything Health Guide to PMS is a useful resource to help you feel and look your best during that otherwise challenging "time of the month.